Home > Rebates > Mail in Rebates: Physician’s Formula, Lysol, Olay, & More! 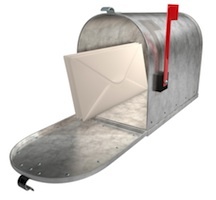 Mail in Rebates: Physician’s Formula, Lysol, Olay, & More! We all love a good rebate, and there are tons of them out there! I just pulled in a bunch more, bringing the database count up to 229! Sometimes rebates come via flyers or Sunday inserts, but a good many of them are actually online, waiting to be printed at the click of your mouse. Below are my top picks – make sure you get any you like before they expire!